VISTA Foreign Business Support. The Team. 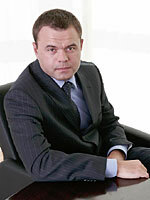 Timur Beslangurov, Managing Partner, specializes in civil, corporate and migration law. Timur has extensive experience in establishing businesses in Russia, including corporate structuring for foreign companies entering the Russian market. He contributes to The American Chamber of Commerce Committees on these issues. Timur acts as a regular speaker at seminars and conferences. He graduated from Moscow State University of International Relations (MGIMO). He speaks Russian, English, Serbian and Croatian. Andrey Bezhenar, Managing Partner, specializes in Russian taxation and accounting. Andrey has dealt with many tax due diligence projects related to M&A transactions, is a highly experienced tax advisor consulted by both Russian and foreign companies entering the Russian market. Prior to joining VISTA Foreign Business Support Andrey worked at the Moscow Branch of one of the biggest Italian law firms, Pavia e Ansaldo. Andrey graduated from Nord Kazakhstan Regional University (Petropavlovsk, Kazakhstan) and is a certified tax consultant. He speaks both Russian and Italian. Olga Cherkasova, Head of Tax Department, is in charge of consulting on both Russian and international taxation and currency control legislation. She deals with business modeling based on effective tax planning for large international, medium and small foreign companies operating in Russia and assists a wide variety of companies in solving issues relating to Russian taxation and cross-border operations. 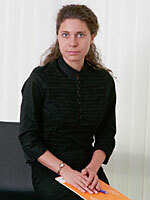 Prior to joining VISTA Foreign Business Support she had six years of experience as a Tax Consultant with PricewaterhouseCoopers and worked for two years as a Tax Manager in charge of Eastern Europe and CIS at Huawei Technologies Co. Ltd. Olga graduated from Moscow State Law Academy and The Moris Torez Moscow State Linguistics University. She speaks both Russian and English. Marina Lyakh, Head of Accounting Department, manages the provision of accounting services and consulting on Russian Accounting Standards. Marina controls the set up and running of numerous accounting projects for foreign companies operating in Russia in diverse areas of business. Prior to joining VFBS Marina worked as Deputy Chief Accountant at Huawei Technologies Co. dealing with a number of its subsidiaries and subdivisions. Marina graduated from the Belorussian State University of Economics. She speaks both Russian and English. Olga Rabinovitch, Start Up Coordinator, is in charge of providing full support to clients starting up a business in Russia and coordinating the VFBS Start-up Project. Olga has gained huge experience assisting clients with Russian migration issues. Olga graduated from The Moris Torez Moscow State Linguistics University. She speaks Russian, English, Spanish and Italian.